Fine portraiture is an art form developed and refined throughout the ages. It's representations stand the test of time well beyond the lives of its subjects. Sought by Kings, Queens and Statesmen for its gifts of immortality. A chance to live on beyond their years in a timeless grace to be gazed upon and admired by thier subjects. Such an art form began to branch out into many styles as time passed. Expertise and refinement of the craft began to produce its Masters. "Quality". A word used often in the modern world but seldom obtained. With over 20 years experience, I have studied the old and new Masters to develop a technique of portraiture that I believe captures this hard won word. Taking portraiture to the edge with photorealism. What is photorealism? A style of portraiture which takes detail to the next level. Almost photographic. Why not just snap a photo and hang it on the wall you may ask? Time. Time is the enemy of the modern photo. Yellowing and fading. Portraiture in oil has the benefits of lasting literaly hundreds of years. A chance to live beyond your years and be remembered for generation after generation. This is the art of Thomas Brode. Long time portrait artist with many years experience capturing the elegance and pride of my clients and placing them on canvas for their family to enjoy for years to come. My clients are executives, celebrities, musicians, dads and moms. I boast a 100% satisfaction rating. My emphasis is on a quality hand painted product. Not volume. Each portrait goes through my own proven process that I have developed from studying the best in the business. My materials are top quality and my paints are the best money can buy. No yellowing and cracking from "fast dry" mass production paints. Just paint applied to wood or canvas. No detail is left out and no short cuts. My paintings and portraits come in a variety of sizing options. I offer sizes ranging from 6 inches to 8 ft. All work is completed under 5K lighting or natural lighting to ensure truer colors. In addition to portraits, I offer custom oil paintings from any photo to include pets, vehicles, real estate, wildlife, underwater marine photos from your dive, fine art nudes, landscapes, still lifes, etc. 35 mm photos are also recommended or HIGH QUALITY digital and must be of at least 300 dpi in resolution. If scanning equipment is not available to you,I am glad to accept your photos by mail for high quality scanning at our location. Go to my "Quotes" page and email your photo to me for a free quote. Note your size and medium (wood, canvas, linen) and we will return with an accurate quote of price and timeline to completion. Special Note:High Quality paintings usually take between 1 week to 2 months or longer depending on the details of the photo (clothing, background, objects, etc). I am not in the practice of running "assembly line portraiture" like other businesses which offer 2-4 day turn arounds for a super cheap price. These companies print your photo to a canvas and send it down the line to have paint added. Additionally, these inexpensive portraits are "printed out" with oil paints by computer. My work is based on a QUALITY product. Not cheap canvas with low grade student paints pushed out in a factory setting from who knows where. 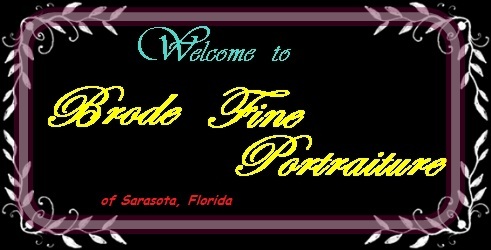 I am located in Bradenton, FL and serve the greater Tampa, Bradenton and Sarasota areas. I also provide insured shipping to all points anywhere.